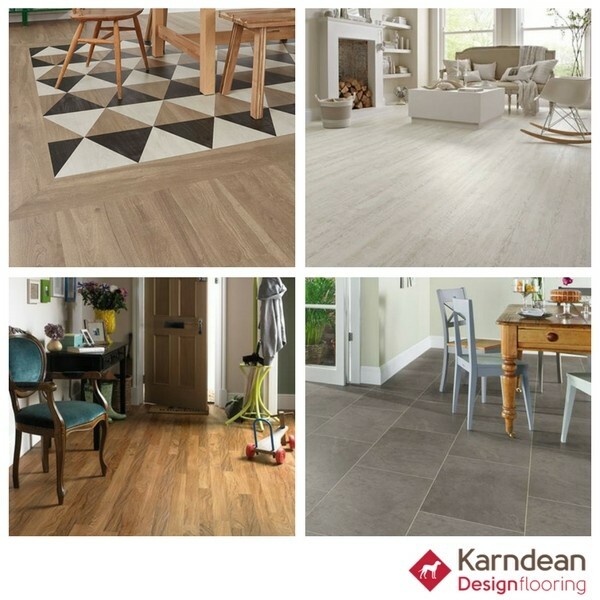 As a Platinum Karndean retailer, at Bramley Carpets we offer the complete range of Karndean Design Flooring. This popular, high quality flooring brand offers a fantastic selection of colours, textures and designs which are inspired by nature, built for living and guaranteed to last. Karndean is not only durable, easy to clean and waterproof, it's also designed to give you piece of mind, so every floor is backed with a Lifetime Warranty. Art Select- Created to reflect the natural materials that inspired them. These planks and tiles are designed to the highest specification and offer you the opportunity to add a touch of the great outdoors to your floor. Da Vinci- This popular range contains slender wood effect planks and richly textured tiles which all have bevelled edges to create distinct definition. Michelangelo- Make a bold statement with character packed metallic, mosaic and contoured pebble tile designs. Van Gogh- Capture the look of distinctive wood with the Van Gogh LVT range that's filled with traditional rustic and cool contemporary wood designs that all have unique grain details upon large planks. Opus- Simple yet effective, Karndean Opus offers sleek wood and stone designs in multiple sizes which may be installed with complementary design strips to create a truly special look. Knight Tile- Karndeans widest range of planks and tiles at the most affordable prices. Choose from a variety designs that can personalised with design strips and borders. Kaleidoscope- Add impact with a wide array of colours, shapes and patterns including cube, hexagon and chevron designs which are all carefully crafted to offer 3D impact, movement and visual contrast. LooseLay and LooseLay Longboard- Manufactured with the innovative K-Wave friction grip backing, Looselay can be installed over many existing solid floors saving time and money. Available in a wide choice of wood and stone designs along with the introduction of Longboard, Looselay really is a fantastic product all around. Korlok- Benefiting from the K-Core technology, this rigid click together LVT not only looks great but offers fantastic stability, excellent acoustic properties and the cabability to be installed over many exisiting hard floors. With so many styles, finishes and formats to choose from, why not visit one of our showrooms and see them for yourself.